Designed with the end-user in mind. 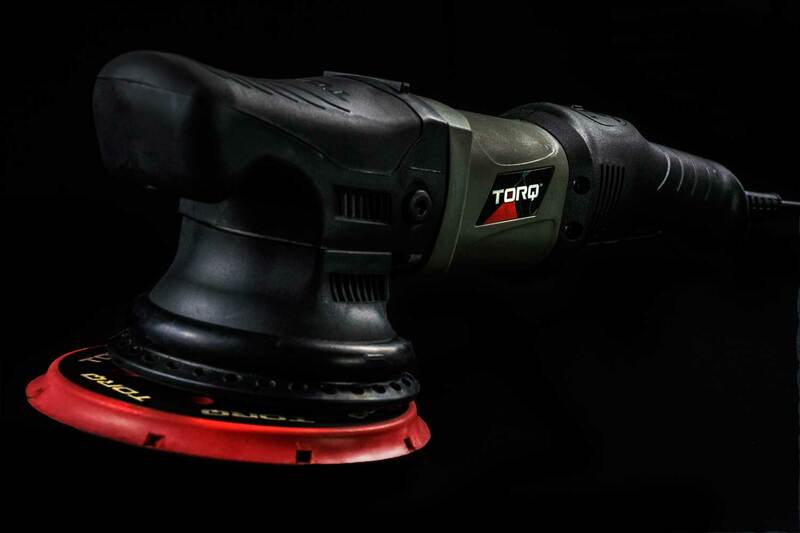 The TORQ22D™ is exceptionally light-weight and durable. 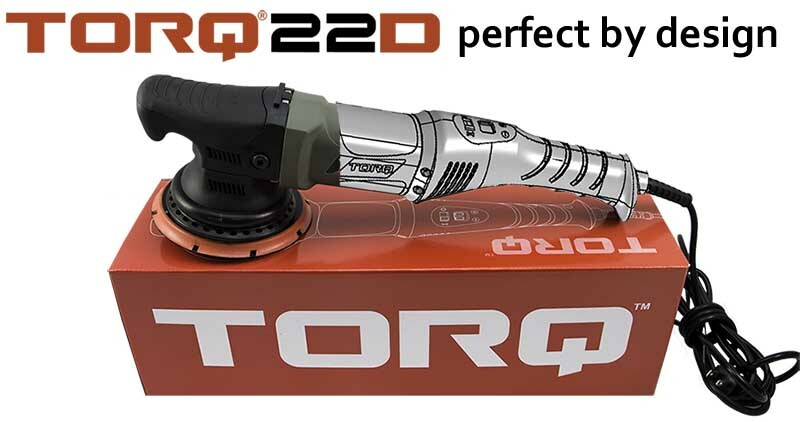 The innovative new Torq22D™ enables, empowers and allows the operator to move fast while achieving perfect results with a streamline machine unlike any other. 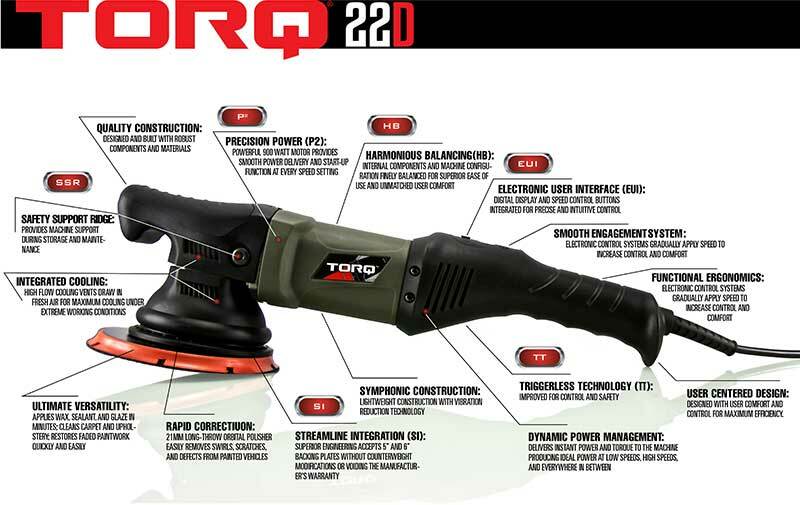 The TORQ22D is ergonomic and comfortable; combining Digital Integration with comfort molded grip design. TORQ components working in perfect unison to deliver a streamline tool that encompasses precision and performance in the ultimate user interface. A precision detailing took that is as accurate as it is streaming, comfortable and stunning in design. With greater user-control and efficient power distribution the TORQ22D ™ can dramatically increase productivity and reduce labor hours and costs. TORQ is constantly thinking about practical solutions that make detailing easier and more enjoyable for the end-user. In order to design a better tool you have to let go of old ideas. Goodbye bulky design, heavy hard to hold tools, dated technology, difficult speed controls, underpowered motors, regurgitated designs, plastic screws, flimsy cables, goodbye contractor tools and carpentry sanders, and most of all goodbye dated hard to pull trigger. What no Trigger, but I loved the trigger it reminded me of my great grandfather and how things used to be, why did you ever get rid of it? Change isn’t easy, just like the typewriter, tube TVs, messenger pigeons, pagers, VHS tapes and floppy discs it was time for change. A Perfect Tool for any user. By developing a better User Interface TORQ designed and built a better tool centered around the user. A professional tool that is perfectly balanced and delivers consistent, fatigue free even and perfect results every time without the wear and tear of a trigger. What’s next are you going to get rid of payphones, western movies and guns? No, but we did get rid of the triggers. Polishers and buffers are not guns so why would they be designed like a gun? Get rid of the trigger and everything else and start fresh. Design and innovate from the outside in. What, don’t you mean inside out? No, Torq tools are designed from the outside in because a tool that starts with a purpose and is designed around the user will always look, feel and perform exactly as expected. Electronic User Interface (EUI): Digital display and speed control buttons integrated for precise and intuitive control. Triggerless Technology (TT):Eliminates triggers and dials for improved control and safety. User Centered Design (UCD): Designed with user comfort and control for maximum efficiency. 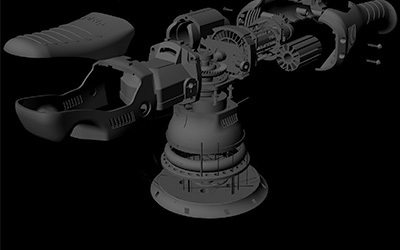 Want to learn more about the machine? They’re available to purchase today. The only way to control the future is to take action. Copyright © 2018 TorqToolCompany.com. All Rights Reserved.